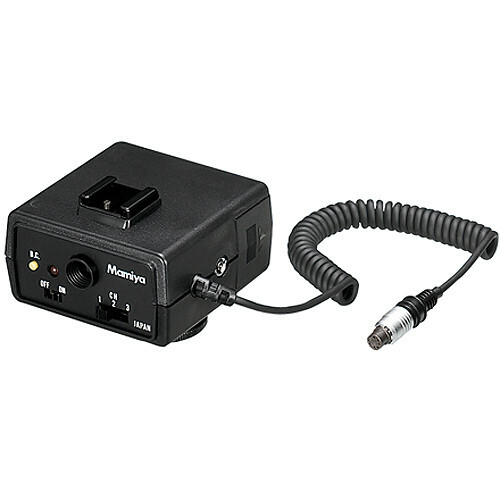 The RR402 Remote Control Receiver for 645DF Camera from Mamiya mounts to the camera's hot shoe mount and plugs into the camera's sync port for remote control functioning when paired with a compatible transmitter. The RR402 works on near-infrared impulses and has three channels to avoid interference from other signals. It can function within a 100' range of the transmitter when used outdoors and is powered by one 9V zinc-carbon battery.